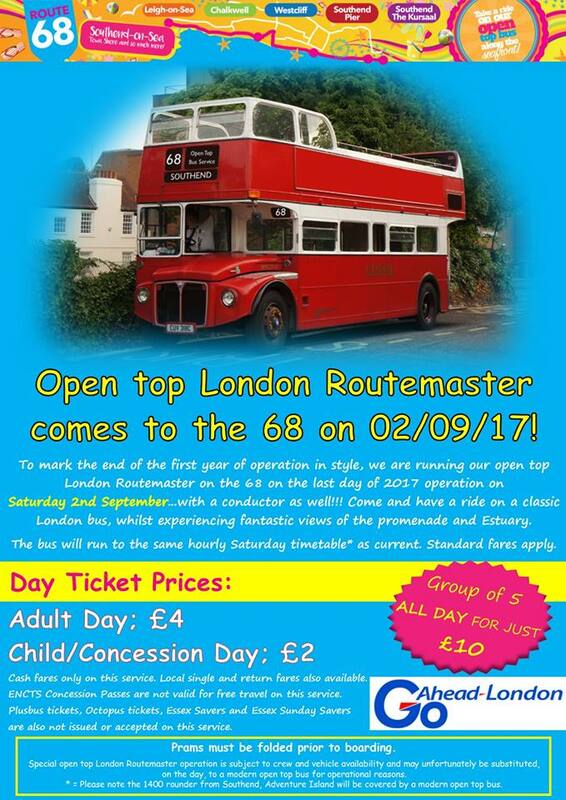 Next weekend a kind of special mini-run of the last day of 2017's Southend's seaside route 68 operation has been organised. 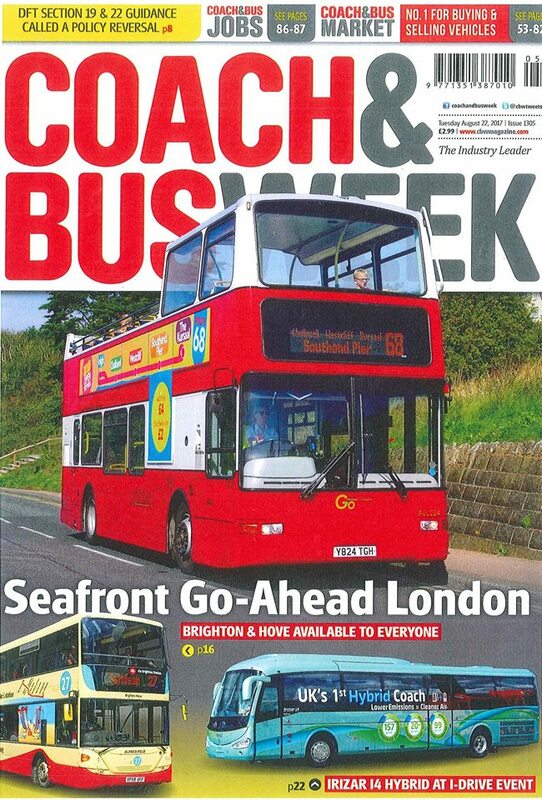 Go-Ahead London General's open top Routemaster RML 2318 is planned to perform a duty on the route between Southend and Leigh on Saturday 2nd September. The usual bus an open top Plaxton President bodied Volvo B7TL PVL 224, will act as duplicate during the day. If or when not required this bus will stand at Adventure Island. It will also be the last day of the 575 to Southend for 2017. 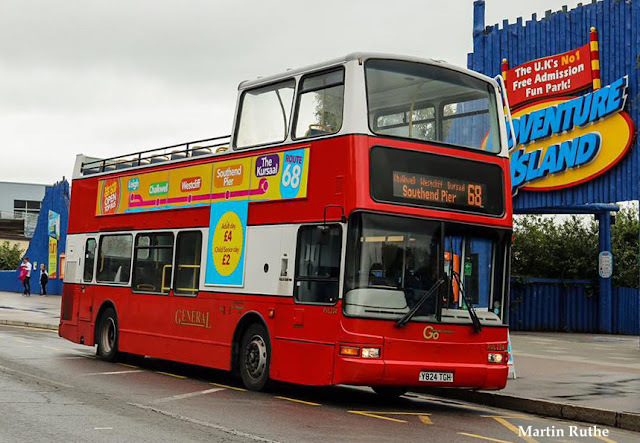 Only on Saturdays does the bus run through direct from Harlow to Southend (whereas on the Tuesday and Thursday, a change of bus is required with guaranteed connection at Romford, The Brewery). This route gives you easy access to Southend from Harlow, Epping, Debden and Romford...return fares for the 575 are £12 adult and £6 concession/child. 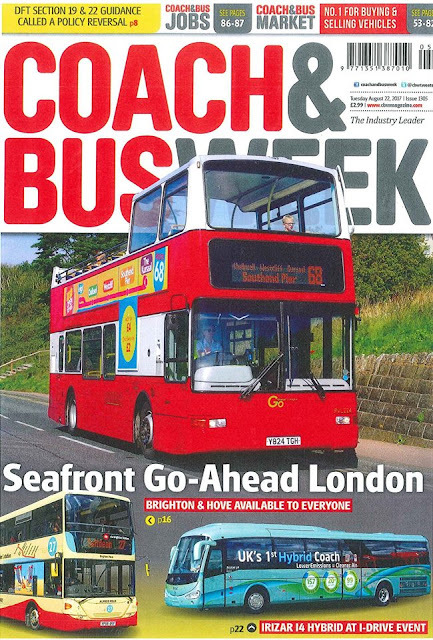 Will modern bus history be repeated in London?